Ella Mae Morgan, 91, of Hemphill, died Monday, April 1, 2019. She was born on December 29, 1927, in Crowley, Louisiana, to Gladice Sarver Stansbury and James Stansbury. 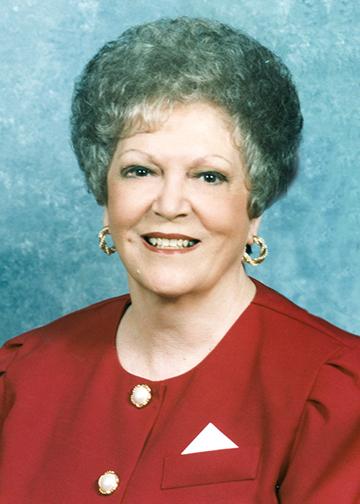 Ella retired from the Nederland Independent School District as a Teacher. Survivors include her daughter, Donna Hartt and her husband, John; grandchildren, Mike Hartt and his wife, Christine; Shane Hartt and his wife Pam; Kellie Meaux and her husband, Wendell; Stacie Shaw and her husband, Erik; and Brad Morgan and his wife, Amy; great-grandchildren, Jonathon Hartt; Brandon Provost and his wife, Peyton; Melanie Hartt; Colton Hartt; Shayna Corcoran and her husband Jordan; Drake Hartt; Morgan Hartt; Jackson Hartt; Julia Hartt; Cody Meaux; Courtney Meaux; Michael Shaw; Morgan Shaw; Mackenzie Shaw; Jessica Morgan; and Jared Morgan; and great-great-grandchildren, Harper Jo Provost and Miller Corcoran. She was preceded in death by her parents; Husband, Harry Morgan; sons, Mickey Morgan and Kim Morgan; and daughter-in-law, Celia Morgan Fabre. A gathering of Mrs. Morgan’s family and friends will be from 4:00 p.m. until 7:00 p.m., Thursday, April 4, 2019, at Broussard’s, 505 North 12th Street, Nederland. Her funeral service will be 10:00 a.m., Friday, April 5, 2019, at Broussard’s, with interment following at Memory Gardens of Jefferson County, Nederland. Memorial contributions may be made in Mrs. Morgan’s memory to Affinity Hospice, 2708 South Medford Drive, Lufkin, Texas 75901. I am so sorry for your loss. Ella and my parents were very good friends. I know that she will be greatly missed. Life brings tears, smiles, and memories. Tears dry and smiles fade, but her memories and the love she poured out will live on forever. Your entire family are in my prayers. With deepest sympathy. One of my favorite teachers and probably one of the sweetest humans ever. Prayers to all the Hartts, Morgans, Meauxs and rest of the family. Ella Mae and Harry always treated me like a member of the family when I was assigned at St. Charles back in the 80's. I have fond memories of being with them at their home many times. Rest in Peace, Ella Mae. My love thoughts and prayers are with the precious family and friends. Love Sha so very much. You are the sweetest. Will always miss you. We will all see you again someday.